Check out my new instagram account for CheckBoxDiet, click link above! We love some good granola around here! Low-carb granola and milk can be a nutrient-rich way to start the day or a quick healthy mid-day snack (or late-night snack, shhhh….). I’ve even been known to pour some on yogurt and call it dinner on a busy evening. Plus, if you add some chocolate chips, you kids will actually think they are getting away with something;) But any granola just won’t do. It has to be packed with nutrients and be low in carbs- two things which most store-bought granolas are not. 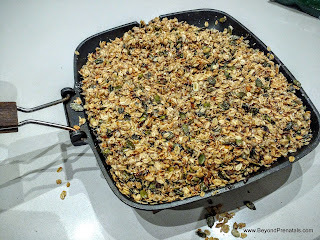 I used to enjoy making a huge batch in the oven, but ever since I discovered the quick and easy skillet version, I've become a granola convert. What’s more? It has 8 (yes, 8!) ingredients that are on our Brain Foods Checklist. Get it here! In a skillet: Add a 3-4 Tablespoons high quality butter + 3-4 Tablespoons of honey. Warm this up until it melts and starts to bubble slightly. Add 2 cups of oats, 1/2 cup (or 1 cup) shredded coconut, 1/2 cup sunflower seeds, 1/2 cup pumpkin seeds, some ground cinnamon, and 2 Tablespoons of vanilla extract. Stir occasionally with a spatula, adding coconut oil if it gets too dry before it gets toasty. Stir occasionally until toasted, about 5-10 minutes. Remove from the stove-top and add in ¼ cup of each: ground flax, wheat germ, and chia seeds. Stir to combine while still warm. Let it cool. Store in an airtight container in the fridge. Enjoy!! You can play around with the ingredients to suite your taste, it's a very forgiving recipe! Note: This is not low calorie; calories don't matter nearly as much as nutrients do. Added Bonus: Pumpkin seeds are a "traditional intestinal antiparasitic" and may prevent parasites (i.e. pinworms) from hatching in the gastrointestinal tract. There are no human studies (only animal studies, at a dose of about 70 pumpkin seeds) but I credit this granola to our avoidance of this problem that is prevalent among the kids in this region (Israel). We once had a very busy month before a big trip abroad and life was so busy that I didn't make any granola. I will spare you the details. I try to make this about twice a month and all is good again! Click Here and Here to read about the experimental animal studies. My kids eat this about once a week for breakfast and I feel good sending off to school with nutrients soaring in the bloodstream. Yeah, I am a nutrition dork. I’m cool with it. 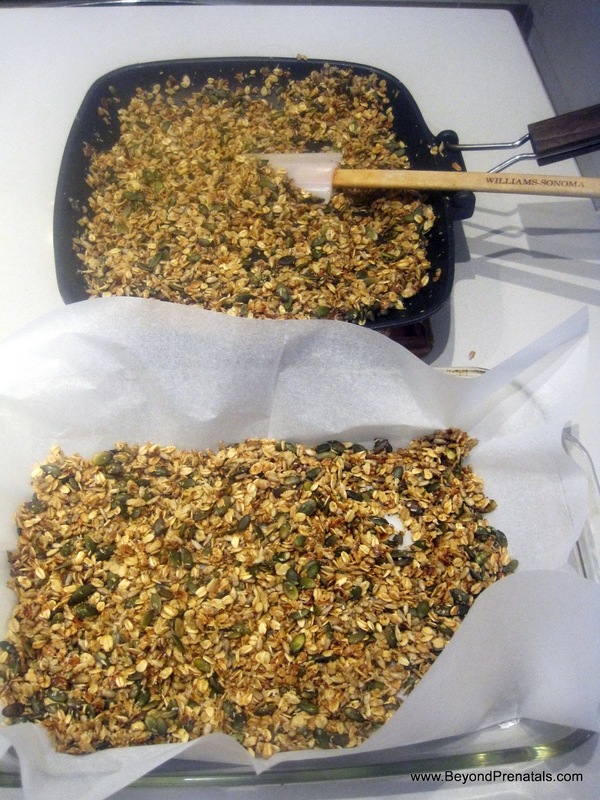 Seriously, go make this granola. My name is Debra. I am a nutritionist. I don't own a scale. In my work as a nutritionist, I hear so many complaints from my clients about their bodies. Once, after hanging up the phone with a client who was having a rough day and was angry at her body for not losing weight at the rate she wanted it to, I wrote down TEN reasons for her to love her body and not be so angry with it. Her response via email: "exactly what i needed! thank you!" Another day I shared this list with a weight-loss client who is obsessed with weighing herself multiple (more than 15) times a day. I am in the process of trying to convince her to throw away her scale and instead ask herself how she feels, how her clothes feel, what did she do to treat herself well today? Another time, I wanted to share this list with a client after I blurted out to her (she was also only interested in the number in the scale): "you are more than just a f**cking number!" And I seriously almost never curse! That is how passionate I am about women valuing themselves for who they are and not the number on the scale. And now I want to share this list with you, my readers! So, without further ado, here is a list of TEN things your body does for you and reasons to love your body and consider throwing away your scale. 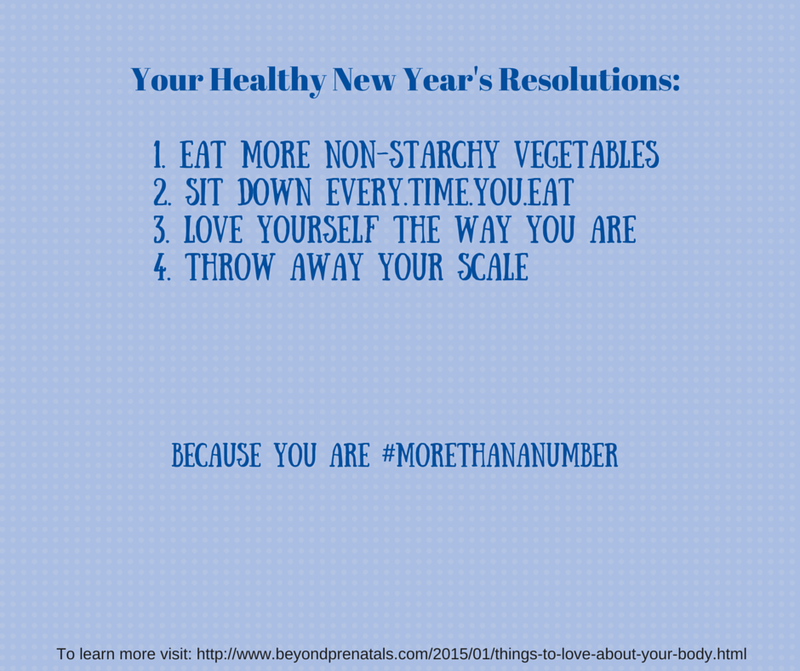 Because you, dear reader, are more than just a number. 5. Grew from a tiny sperm and egg! "But how can I show my body some love without focusing on the numbers?" If you enjoyed this post, please share it on FB and Twitter and Pinterest using the buttons below with the #MoreThanANumber hashtag. Thanks for the LOVE! Have you ever clicked on an article about a superfood only to find that the super food was super hard to find in local stores or super expensive? Not this superfood! Dried herbs are chock full of antioxidants and phytochemicals. These are compounds that keep your cells thriving, your organs fully functioning, keep you feeling great, and even ward off dangerous bacteria and oxidation in food. And the best thing is that you probably don't even have to go to the supermarket; you probably have most of these spices sitting in your cabinet. Three apartments later and we still have the same set! This is why I love my spice collection. When I was living in NY, we had a fabulous reasonably-priced health food store nearby and I gradually replaced my 99-cent spice collection with this fabulous glass jar set. This set of spice jars (+ my mason jars)have been with me through 4 apartments! You can buy your own beautiful set by clicking the (affiliate) link below (or click on "Simply Organic to by individual jars for less than $5.00 each). I bought about 20 spices for my sister when she was getting married and she told me it was one of her best gifts! They also make a great holiday gift. For references you can read here, here, here, here (click "download"), and here to start! So the next time you want to reach for an artificial spice blend (i.e chicken rub or taco mix) that may be mostly monosodium glutamate, or a stock powder that is mostly sugar and cornstarch, or a salad dressing made with high fructose corn syrup, run to your spice cabinet instead and whip up something yummy and super tasty with your already-purchased superfoods. Add some turmeric to your stir fried chicken, cinnamon and cumin to your sweet potatoes, garlic and oregano to your salad, the possibilities are endless. 3. Add garlic to simmer soup base. Simmer until sweet potatoes and greens are tender. About 15 - 20 minutes. Season with salt and pepper to taste. This post originally appeared on The Times of Israel on March 13, 2014. It appears again with minor edits here on my own page. Enjoy! My daughter’s first Hebrew birthday was this week. When my second son turned one, I had an urge to write down the story of his birth and I am finding myself with that same urge for my daughter. I think the labor process is a beautiful one, one that connects you to God, the world, your child, and yourself. The main difference with this birth is that this child was born in Israel. Over the years, I have met a number of women who told me that they wanted to move to Israel, their homeland, but couldn’t because they wanted all of their children to be born in America/Canada/United Kingdom/Insert Anglo country here. Or they waited to move to Israel until all of their children were born. They were afraid of giving birth on foreign soil. If you are one of those women, this story is for you. 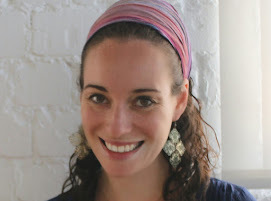 When I moved from New York City to Israel, I was 11 weeks pregnant. I left behind a private doctor on Park Avenue who is truly excellent (shout-out to Dr. Gila Leiter), a word-class private hospital that happened to be around the corner from our Manhattan apartment (shout-out to Mt. Sinai Hospital), where labor rooms overlook Central Park, and friends and family lived nearby. I came to a country of socialized medicine, doctors who spoke a language that I did not yet speak, a different schedule of tests and procedures, and an entirely different doctor-patient approach. My first appointment was in an office building in a mall and couldn’t find it. I was 25 minutes late. I hated the parking and I hated the building. I didn’t understand that I was supposed to go to a different location afterwards to get my urine and blood-pressure tested. So I found a doctor who had an office on the first floor of a tall building that was reminiscent of my Park Avenue office and that’s how I chose my doctor. It was certainly not for her bedside manner or her refusal to treat any medical conditions that did not involve the fetus (she didn’t even have a stethoscope!). She once left me a voice-mail (voice-mail!!) before a major holiday (no office hours!!) stating that one of my blood tests was elevated and my baby was at a high risk of a major disease. Turns out she was confused and was wrong. That was a fun holiday. So, why did I say you should read this article? I didn’t know at that time, that I would grow to love the health care system, that I would love how they approach birthing in this country, that my sister would arrive from America the day my baby was born, and that my new community would support me after the birth in so many positive ways. Once I got into the groove of the medical system, and learned some more Hebrew, things started to go more smoothly. I enjoyed that the sonographer was always a medical doctor, I enjoyed knowing that when I went to get my blood pressure checked there was a doctor there in case anything was wrong, I enjoyed the way the nurses would tell me how brave I was for moving to Israel and how much they appreciated it. I loved the way they didn’t make a big deal out of being a strep B carrier like they did in NY. But the best part of the whole process was the actual birth. On the day of the birth, a blogger friend who became a real-life friend when I moved to Israel (because that’s how things work here), came over and brought me organic chickpea stew and lots of well wishes. Later that afternoon, I took my younger son for a haircut, where the male hairdressers insisted that I sit down with a glass of water while they entertained him, cut his hair, and brought me tea and crackers. My water broke an hour later at home while I was playing Lego Ninjago with my eldest son. I called my husband. His phone battery was dead. Great. So what do you do when you are in Israel, in labor, and can’t get through to your husband??!! You call your neighbors who become your family. My upstairs neighbor was in my apartment calming me down almost before I could hang up the phone with her. She got on the phone with her friend, a doula, and we reminded ourselves of the rules of what to do if your water breaks at home. And she sat with me through some contractions until my husband came home. A few hours later when the contractions waved over me with a force that lets you know you better get to a hospital, my in-laws came over to watch our sleeping boys. Although I was most nervous about the half hour drive to the hospital (very different from our two minute walk in NYC), we made it to Ichilov/Tel Aviv Medical Center/Baby Lis (turns out those are all the same place) with plenty of time to spare. In walks Tali, calm as can be, takes one look at me in the throes of the second-to-last contraction before my daughter is born, sits close to the edge of the bed, and tells me to say a prayer. “It’s a good time to ask God for something.” I tried to think of some prayer but the pain was too strong. Instead I just thought to myself, how amazing that I live in the land that God intended for me, with a midwife who just told me to say a prayer, and a baby on the brink of entering into the land of Israel. There is something very special about that moment in between worlds. Like when you are watching your baby fall asleep and their blinking eyes slow down and flutter, eventually slowing down so much that their eyes stay closed, and you know that your baby has entered a different land. I leaned back slightly on the birthing bed, my wonderful husband supporting me at my side. I waited for Tali to touch me or drop the bottom half of the bed to easily catch my baby, who is literally on her way out. She does neither. Instead, she asks (in pretty-good English) “Do you want to come get your baby?” Always up for a new experience (why else do you move to Israel! ), I say yes. She gently shows me where to position my hands around my baby’s body as I bring my daughter into the world, delivering her straight into my arms, into our family, and into Israel. 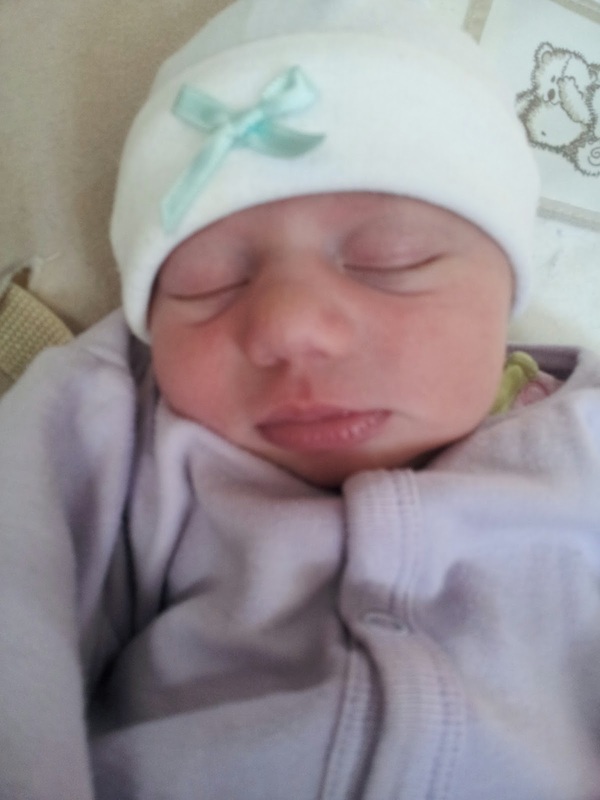 My first daughter, Israeli by birth, a gift from the One above. I have always had a special place in my heart for the phytonutrient known as Allicin, since my name is Debra Allison. I first learned about phytonutrients in the 1990's during an undergraduate nutrition class. That is when my love for these natural chemicals in plant foods took off. As a religious woman who is also a nutritionist there is something special about learning the medicinal properties of our natural God-given foods that are intended to prevent disease as well as heal us from disease. New phytonutrients are being discovered all the time. Basically every single fruit or vegetables contains at least one phytonutrient that can provide antioxidant (kills free radicals), anti-inflammatory, or anti-cancer properties to your cells . Yes, even humble cucumbers contain cucurbitacins which are anti-inflammatory and possibly have anti-cancer properties too. This is why food will always trump supplements and why we must go "Beyond Prenatal vitamins" when discussing women's health. A few very special people I know were diagnosed with cancer these past few years. Some had surgery, some had chemo, some are having more chemo. These people all told me that when they were diagnosed with cancer, many people started telling them how “so and so cured cancer with (fill in alternative treatment here).” But most people don’t choose an alternative route when faced with a deadly disease. Most people will choose a conventional medicine route to try and eradicate the disease. However, all cancer patients have a waiting period. Waiting to find out results of biopsies; waiting to find out treatment options; waiting to find out which top doctor can make room in their schedule; waiting for blood counts to increase, or waiting to see if the chemotherapy will work. What if these alternative methods are utilized during this waiting period? Would it make the patient feel empowered? Would it possibly help slow the growth of the cancer? So I thought I would compile a list of some the top well-studied (700+ research studies on garlic and cancer on Pubmed!!) anti-cancer foods that encourage apoptosis (cell death, a good thing when the cells are cancerous). This is certainly not an exclusive list, just a place to start. Notice how many different colors are represented here, as phytonutrients exist in the colorful components of the plant. These spices and herbs can be turned into delicious salad dressings, sprinkled on salad, rubbed on chicken or fish, added to meat or veggie stew, or added to rice, stir-fries, or soups. Green tea can be enjoyed as a tea or used in salad dressing and even in your cooking! You can also eat some of these foods, like garlic, crushed and mixed with some raw unheated honey to be enjoyed by the tablespoon (This is how I finally got rid of a nasty strep throat infection that just wouldn't go away with antibiotics). Just make sure to eat them daily. I singled out these 6 foods but there are literally hundreds of foods that contain phytonutrients. For more examples of phytonutrient-rich food organized by food color, see this document put together by the Institute for Functional Medicine and for the name of the phytonutrients in each color food group, click on this link.